Looking for private in-home or in-studio Flute lessons? Our College Grove teachers are ready to get you started. Find your teacher today! I teach flute students of all levels. Current Principle Flute of Bob Cole Conservatory Symphony Orchestra and Wind Symphony. Current Flute player in Bob Cole Conservatory Wind Quintet. Current and past students include: principle flute of Diamond Bar High School Wind Ensemble, principle flute of Pacific Symphony of Youth Wind Ensemble, 1st flute of Claremont Youth Symphony Orchestra. orsakov unfold a tale of an enchanted land, with camel-riding merchants, bazaar, and princesses, without uttering a single word. I went on to learn a few instruments: xylophone, three different kinds of recorders, and then all this eventually led to flute. I started studying flute at the age of 8, and it has been a delightful journey. In high school, I have participated in marching band, symphonic band, wind ensemble, and symphonic orchestra. I was also part of two prestigious local youth orchestra, the Orange County Youth Symphony Orchestra, and the Claremont Young Musician Orchestra. I obtained my Bachelor of Music (Flute Performance) degree from University of California, Santa Barbara. I grew immensely as a musician during my time in Santa Barbara, I studied under Jill Felber, and I was able to expand my repetoire and gain considerable experience. I even played at the local farmers market as a street performer during the weekends. After graduation , I traveled to my home country Taiwan to study another great musician - Anders Norell, the principal flutist/flautist of the Taiwan Philharmonic. It was another great opportunity as I was able to garner teaching experiences, as well as attending master classes of great flutist/flautist such as Emmanuel Pahud. As a music teacher, I encourage and inspire. I am foremost a music lover, then flutist and flute teacher. I aspire to spread the abundance of joy and beauty that music has bring into my life. As the great conductor and cellist Pablo Casals puts it: "Music is the divine way to tell beautiful, poetic things to the heart". Therefore, whether if you are a wobbly toddler, high school marching band enthusiast (as I once was), house wife looking for a new hobby, full time employee who always had a love for classical music, or grandmother who is looking for something other than crochet, join me on this wonderful journey. "The pursuit of music would provide you a life time of joy". Great teacher very patient and courteous. I really enjoyed my first lesson with Yuh-Jiun, who goes by the name of Melody also. She took everything at a slow an steady pace and gave helpful suggestions She knew the piece by Debussy that I wanted to learn, and she had it right in front of her, so she could make very helpful comments. I am looking forward to working with her. I am a total flute beginner and she took her time to teach me. I have been teaching lessons for 12 years, to beginners to conservatory level students. I am a performing musician with a BA in music education and music performance, as well as a MA in Flute performance. I have successfully prepared students for NYSSMA as well as for college music auditions. I teach the foundations like great tone, breath support, articulation, rhythm, note reading, theory, and my favorite, musicality! I cater each lesson to each individual student's needs and goals, and above all, instill a life-long love of music. 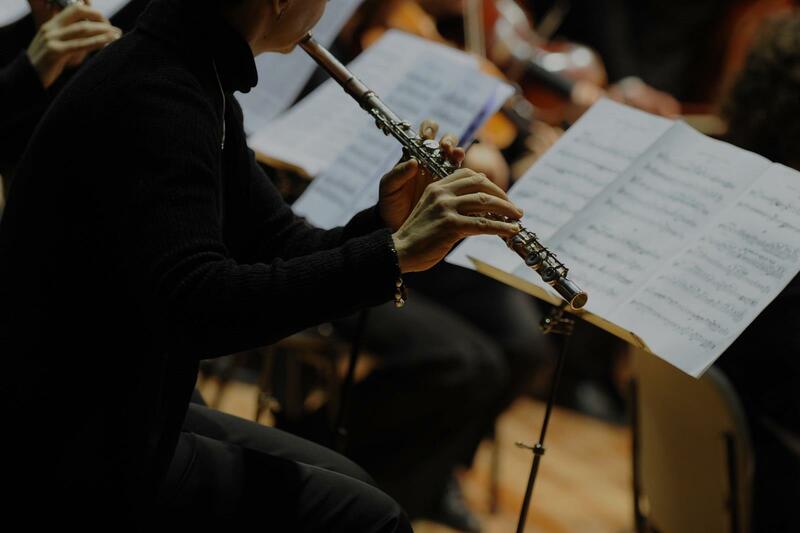 As a professional flutist, I've performed with orchestras, and do a lot of chamber music, including new music. I've performed with piano, guitar, harp for both Celtic and classical, cello, woodwind quintet, string quartet, choirs, jazz piano trio, and free improvisation with cello and bass. I graduated from SUNY Fredonia for music performance and music education, and got my Master's degree in flute performance from the Hartt School of music. scales for younger students, Maquarre Daily Exercises or Taffanel and Gaubert Daily Excercises for more advanced students), etudes (Melodious and Progressive Studies), and pieces (I consult the NYSSMA manual for appropriate pieces for the students level). Having taken Alexander Technique, I strongly emphasize posture so that students can use their bodies in the most efficient way. Individualized instruction allows for teachers to cater to the needs of the student, challenging the students without frustrating them. Everyone is unique and learns at different rates, so no two lessons will ever be the same. I teach students how to practice, so that they can progress outside of the 30 min. or hour long lesson. As for performance standards, I have used rubrics for tone, technique, articulation, phrasing, and breathing. Once strengths and weaknesses are assed, I create a plan to help the student improve, which is what students and teachers want to hear.